Nearing the End of Life: Dare to Care is organized by PESI HealthCare and will be held on May 15, 2019 at Crowne Plaza Syracuse, Syracuse, New York, United States of America. This course has been approved for a maximum of 6.3 Contact Hours. Target Audience • Nurses • Nurse Practitioners • Clinical Nurse Specialists • Physician Assistants • Social Workers • Counselors • Case Managers • Chaplains • Clergy Course Description: Eleanor is an 83-year-old widowed lady with known chronic heart failure and advanced dementia. She is now hospitalized with a significant stroke and dysphagia. She does not have a healthcare directive and had never discussed what she would want, other than staying at home until she dies. She is full code. Her family still wants resuscitation attempted. Her children admit they are concerned about what is best for their mother. What are options for Eleanor and her family? Would she benefit from artificial hydration and nutrition? How is she going to receive medications? Can some of her medications be discontinued? Who is going to be her caregiver? In this compelling seminar, multiple case studies like Eleanor's will provide you with examples that you can incorporate when care is more important than cure. To deliver expert, holistic care, healthcare professionals need to have a toolbox full of new interventions to promote quality care at the end of life. Learner Objectives: • Explain how complementary therapies enhance quality of life for patients. • Evaluate the risks and benefits of medical marijuana. • Acknowledge the eight domains of the National Consensus Project. • Analyze five complications related to artificial hydration and nutrition. • Explore ethical issues often seen at the end of life. • Formulate two strategies to diminish fear of death and dying. • Connect moral resiliency to palliative care. Yoga and Mindfulness for Therapeutic Rehabilitation: New Tools for Healing Your Patients & Making You a Better Therapist is organized by PESI HealthCare and will be held on May 22, 2019 at Crowne Plaza Syracuse, Syracuse, New York, United States of America. Additional details will be posted as soon as they are available. 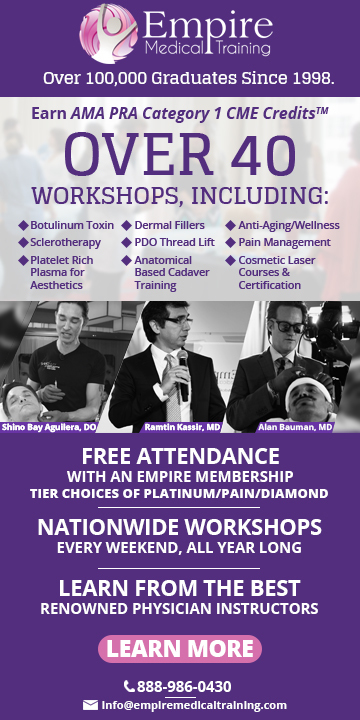 NP Review & Clinical Update is organized by Advanced Practice Education Associates (APEA) and will be held from Jun 03 - 04, 2019 at Embassy Suites by Hilton Syracuse Destiny USA, Syracuse, New York, United States of America. Credits: 2019 FNP Review Course (Program ID #s 2018-12-01Pa, 2018-12-01Pb) is approved for 30.5 contact hours (13.5 hours of Pharmacology). AGNP Review Course (Program ID #s 2018-12-02Pa, 2018-12-02Pb) is approved for 27.5 contact hours (15 hours of Pharmacology). 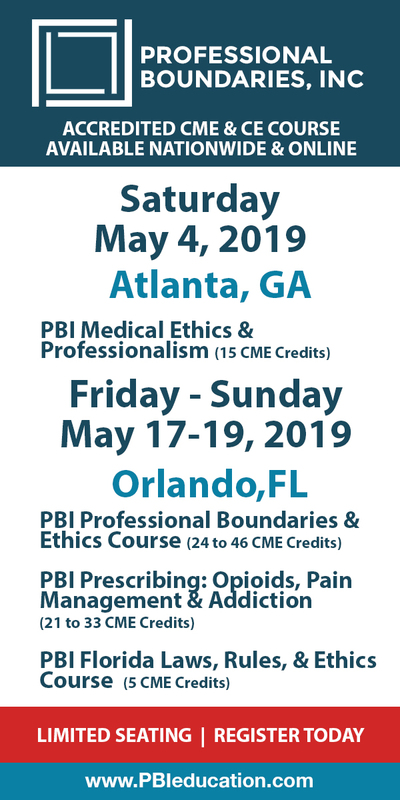 The 2019 course program features the following: • 2 days of live lectures encompassing content covered on the AANP and ANCC exams • For FNP candidates, videotaped lectures on pediatrics and child growth and development; accessible after the 2-day course • For AGNP candidates, videotaped lectures on healthy aging/pathology of aging and prescribing for older adults; accessible after the 2-day course • Bonus video content on the essentials of office procedures • Bonus video content on entry-to-practice requirements Additional details will be posted as soon as they are available. Pharmacology of Infectious Diseases & Immunizations for Advanced Practice Clinicians is organized by PESI HealthCare and will be held on Jun 05, 2019 at Crowne Plaza Syracuse, Syracuse, New York, United States of America. Target Audience: • Nurses • Advanced Practice Nurses • Clinical Nurse Specialists • Pharmacists • Nurse Practitioners • Physician Assistants Course Description: Attend this seminar and learn proper prescribing, patient education and monitoring procedures for a variety of drug regimens used to treat common acute and chronic infectious diseases. Choosing an antibacterial agent can be challenging, given the plethora of drugs available on the market and the emerging trend in bacterial resistance. You will learn the pharmacology of different classes of antimicrobials used to treat infectious disease states encountered in clinical practice. Discover the spectrums of activity, pharmacokinetic characteristics and parameters for monitoring therapeutic outcomes. Emphasis is placed on the new antimicrobials and advances in evidence-based treatment guidelines. You will leave this seminar better prepared to design appropriate and cost-effective drug regimens for improved therapeutic outcomes. Learner Objectives: • Analyze the major classes of antibiotics and their pharmacokinetic characteristics. • Apply current evidenced-based approaches to select appropriate treatment regimens for common infections encountered in clinical practice. • Prescribe antimicrobials based on empiric dosing recommendations. • Plan goals of therapy and parameters for monitoring therapeutic response to antimicrobials. • Recommend specific antimicrobial therapeutic drug monitoring to maximize efficacy and minimize toxicities (e.g., vancomycin and aminoglycosides). • Develop preventative strategies to limit antimicrobial resistance. • Design patient and caregiver education on the proper use of antimicrobials. Additional details will be posted as soon as they are available. Acute Care & ICU Rehab: Strategies for the Medically Complex Patient is organized by PESI HealthCare and will be held on Jun 28, 2019 at Crowne Plaza Syracuse, Syracuse, New York, United States of America. This Course has been approved for a maximum of 7.2 Contact Hours. Target Audience: • Occupational Therapists • Occupational Therapist Assistants • Physical Therapists • Physical Therapist Assistants • Nurses • Nurse Practitioners Course Description: Explore the latest interventions for improving functional mobility, strength, independence, and outcomes in acute care rehab. Designed for all practice levels, from the new grad to the veteran acute care professional, this hands-on course will provide you with an updated knowledge base for making appropriate decisions within the ICU and acute care environments, implementing assessment and treatment tools, integrating existing treatment plans with progression into the plan of care, and adjusting or accommodating treatment interventions across the hospital stay through transition out of the hospital. Discover the latest assessment techniques and learn how to integrate treatments into rehab plans during acute and post-acute phases. Practice the latest interventions, strategies, and best practices in hands-on labs throughout the day. Discover new treatments for: • Early mobilization • Management of lines, wires, and tubes • Respiratory distress • Intubation/Vent dependency • Discharge planning • Caregiver training • Productivity • Billing/Documentation Objectives: • State the critical elements of analysis and assessment in mobilizing medically fragile patients. • Develop an appropriate plan of care for patients who present with a critically ill cardiac, neurological, or respiratory diagnosis. • Distinguish the characteristics, similarities of, and differences between, medically fragile and general acute care patients and methods to implement successful therapeutic interventions with each. • Demonstrate an understanding of the outcome tools available for assessment of the acute or critically ill patient. • Evaluate strategies for addressing the behaviorally challenging patient and successful methods for patient engagement. • Identify methods to effectively document progression throughout the acute care spectrum. 71st Annual Meeting Northeastern Section of the American Urological Association (NSAUA) is organized by Northeastern Section of the American Urological Association (NSAUA) and will be held from Sep 19 - 21, 2019 at Syracuse, New York, United States of America. Additional details will be posted as soon as they are available.